If you are looking for a professional tree service in Waterbury, Connecticut and the surrounding areas that can handle tree problems of any size, you have come to the right place. Bell Tree Service has over 25 years of experience providing tree removal, tree trimming, lot & land cleaning, cabling & bracing, tree planting, storm damage clean up, landscape design and maintenance including mulching, lawn mowing and weed removal and maintenance of floral garden beds. Do you have a diseased tree? Perhaps a tree has fallen after a storm that may require removal from your property? 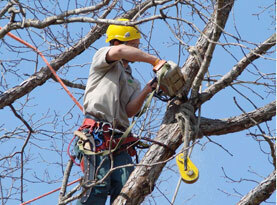 At Bell Tree Services, we can provide a professional crane service to take care of large tree removal. We will work with you to decide on the best way to remove the tree and other debris. Our professional technicians are trained and equipped to properly secure a dangerous tree or clean up after storm damage as well as prevent damage from any trees that have started to uproot but haven’t yet fallen. 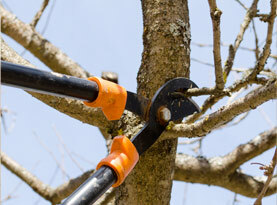 Tree trimming is one of the many landscaping tasks that homeowners must perform to properly maintain their home and yard. Your lawns need mowing on a regular basis, flower beds need to be weeded and your trees, bushes and shrubs need to be trimmed back. Bell Tree Services can ensure that your trees are correctly trimmed to keep them healthy and in tip-top condition to ensure their beauty and longevity. The professional technicians at Bell Tree Services are knowledgeable, ready and available to handle your entire tree care needs. At Bell Tree Services, our tree removal service is second to none. Our tree care technicians have years of experience and are able to correctly handle your tree removal in the safest way possible. While it is true that tree removal is not an everyday experience, and is not always caused by a storm that require a comprehensive clean up. Tree removal often involves removing a living tree that is diseased or damaged and poses a threat to the structure of your home. The professionals at Bell Tree Services can handle the job, no matter the size, big or small, we are by your side and have you covered. 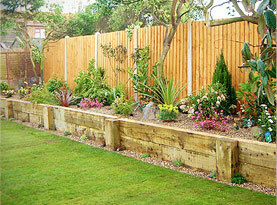 A beautiful landscape is the foundation to a great looking landscape. Our experienced lawn maintenance teams will take care of your landscaping needs for you so you can sit back and relax and enjoy your day off. 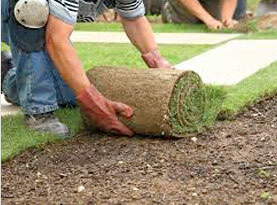 We can provide landscaping services on a weekly basis along with trimming flower beds and scrubs along with other maintenance needs. Your landscape will be the envy of the neighborhood. •	Mulch – The application of mulch helps ensure your trees and planting beds retain moisture along with giving your flower beds a clean, neat appearance. •	Floral Garden Beds – Annual flowers create a vibrant appearance to your landscape, our experienced staff can help you care for your perennial and annual plantings to keep your flowerbeds looking clean and colorful year round.